My employer is amazing and in the last two months, they’ve allowed me to attend a lot of data science conferences and I thought I’d share some general reflections on my experiences. What’s more is that ODSC is from Friday-Sunday and depending on when you buy the tickets, only costs between $250-$569. They also have a very reasonable student rate. If you view this as a training event, you would be hard pressed to find a better value for your money. All the talks I attended were really outstanding. I’m not paid by ODSC, nor did they ask me to write anything about the event, but if you are interested in learning more about data science and your company doesn’t have the budget to spend thousands of dollars on training, you should definitely check out ODSC. All conferences have some sort of vendor expo where companies show off their latest big-data lake SQL analytics on Hadoop in the cloud. (Did I get all the buzzwords?) However, from my observations, most of the booths were really focused on recruiting rather than selling some new whiz-bang tool, so if you’re looking to speak directly with companies seeking to hire data scientists, ODSC is the place to be. I saw Zillow, Facebook, McKinsey, and many other solid companies were there at ODSC recruiting. 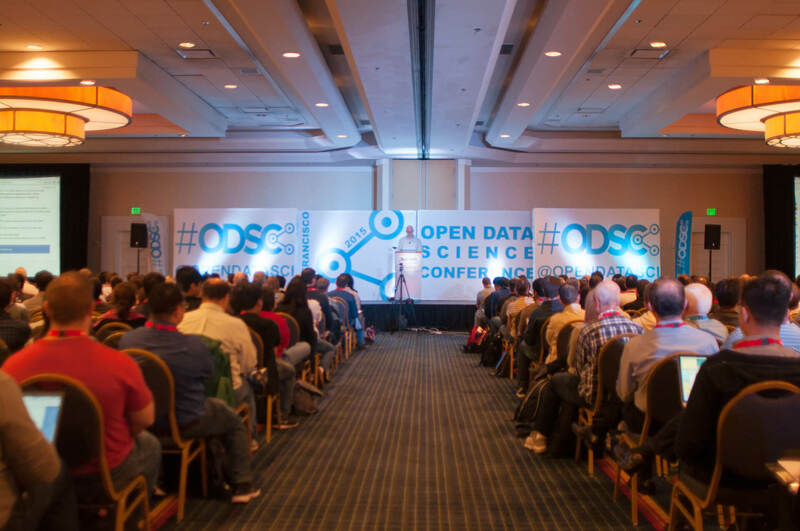 In conclusion, if you are new to data science and are looking to learn a lot or looking for a job, you should definitely check out the ODSC events. The next one is in Santa Clara in November. Who knows.. I may even be there!